Mette Søndergaard Deleuran, born Kristensen, graduated from medical school at the University of Aarhus, Denmark in 1988. She was a research fellow at the Department of Dermatology, University of Aarhus from 1989 to 1991 under professor K. Thestrup-Pedersen, followed by a year in professor Marc Feldmann and professor Ravinder Mainis laboratories at the Charing Cross Sunley Research Centre and Kennedy Institute of Reumatology in London. She defended her thesis on the regulation of inflammatory cytokines related to the skin in 1994. In 1999 she became a specialist in Dermato-venereology and was appointed to a position as associate professor at the University of Aarhus, Denmark. The same year she established an Eczema School at the department, educating parents to children with moderate to severe atopic dermatitis. The school is still active and helps patients and parents to cope with the disease, and to treat it correctly. She is also a committee member of the world wide OPENED Dermatology program, which is a patient education network for patients suffering from atopic eczema. From 2003 to 2006 she was chairman of the committee forming new guidelines for the education to become a specialist in dermato-venereology in Denmark, and administrative leader of the education program. In 2005 she was appointed Chairman of the Dept. of Dermatology, Aarhus University Hospital. In 2008-2010 she was the president of the Danish Dermatological Society. She is a member of The Danish Dermatological Society, European Society of Pediatric Dermatology, European Society for Dermatological Research, and the American Academy of Dermatology. She is a board member of the European Task Force on Atopic Dermatitis board member of the European Academy of Dermatology and Venereology, and founding member of the International Society of Atopic Dermatitis. Her main clinical and scientific interest is related to atopic dermatitis and Mette Deleuran has published more than 70 articles in peer-reviewed journals (before 1995 under the name of Mette Kristensen). Many of the publications have been covering basal and clinical aspects of atopic dermatitis and psoriasis and she is also the author of several book chapters. Andreas Wollenberg is a dermatologist and allergist and Professor in the Department of Dermatology and Allergy, Ludwig-Maximilian University of Munich, Germany. Professor Wollenberg studied medicine in Johannes-Gutenberg-University of Mainz and Ludwig-Maximilian-University of Munich. A fellow of the American Academy of Allergy, Asthma and Immunology, he is board certified in dermatology and venereology and holds subspecialty certification in allergology, andrology and infectious diseases. He is an honorary Dr. of the Medical University Iuliu Hatieganu in Cluj-Napoca. His research interests include immunobiology of dendritic cells in inflammatory skin diseases, infectious complications, topical immunomodulating therapy, and drug-induced skin toxicity. Professor Wollenberg has made a significant contribution in advancing understanding of the central role of epidermal dendritic cells in the pathogenesis of atopic dermatitis. In addition to preclinical studies, he is involved in multiple clinical trials and translational research projects relating to atopic dermatitis, perioral dermatitis, graft-versus host disease and epidermal growth factor receptor inhibitor-induced skin toxicity. He has coined the term ‘proactive therapy’ of atopic dermatitis. His achievements in the field have been recognized both nationally and internationally. Professor Wollenberg is a member of many national and international scientific societies, including the American Academy of Allergy and Clinical Immunology AAAAI, the Collegium Internationale Allergologicum CIA and the European Dermatology Forum EDF. He is currently secretary of the European Task Force on Atopic Dermatitis ETFAD of the European Academy of Dermatology and Venerology EADV. He has authored more than 130 papers in peer-reviewed international journals, and is editorial board member and regular reviewer for many biomedical journals. Carlo Gelmetti is a Professor of Dermatology and Venereology at the University of Milan, Italy, where he received undergraduate and post-graduate training. His other medical appointments include a position as Chief of Pediatric Dermatology Unit at the “Ospedale Maggiore Policlinico” in Milan. 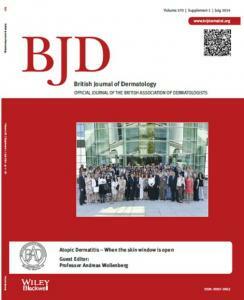 His areas of interest include genodermatoses, angiomas, atopic dermatitis and the history of dermatology. He is the recipient of ISPD First Prize (ex aequo) in World Congress of Pediatric Dermatology, Milan 1990; “Jean-Louis Alibert” Lectureship Award EADV Goteborg 2010; L’Oréal & Galderma International Award for Social Responsibility in Dermatology WCD Seoul 2011. Prof. Gelmetti is polyglot and has written over 300 papers published in Italian and international Journals, as well as 10 books and numerous book chapters in national and international textbooks. He served as Editorial Board Member of many Journals including Dermatology, Pediatric Dermatology, the European Journal of Pediatric Dermatology, the Journal of American Academy of Dermatology, and the Giornale Italiano di Dermatologia e Venereologia. Prof. Gelmetti has been also President of the Italian Society of Pediatric Dermatology. He is a member of many national and international scientific Societies; in particular he is a Board Member of the International Society of Pediatric Dermatology and European Society of Pediatric Dermatology. He is also an International Honorary Member of American Dermatological Association among others. Research scientist in Tissue and Pharmacokinetics Laboratory, a part of the In Vitro Pharmacology Lab in the R&D department of Pierre Fabre Dermo-cosmétique, Marie-Florence Galliano is in charge of barrier function and moisturization research program. Her research interests include in vitro models of atopic dermatitis. She performed her PhD research in the laboratory of Pr JP Ortonne in Nice (INSERM) when she identified laminine 5 as the protein mutated in lethal junctional epidermolysis bullosa. She worked in the Pr A. Hovanian’s laboratory (CNRS) as a post-doctoral fellow to generate Spink5 KO as a model of Netherthon disease. She then joined the laboratory of Pr G. Serre (CNRS) to study the regulation of terminal differentiation of epidermis and genes involved in, as A2ML. Head of Cell Pharmacology Laboratory, a part of the In Vitro Pharmacology Lab in the R&D department for Pierre Fabre Dermo-cosmétique, Nathalie Castex-Rizzi is working around the research and the development of new cellular models for the assessment and the selection of new active ingredients and the analysis of new developed products. She obtained her PhD in cellular and functional biology of digestive process from the University X. Bichat in Paris in 1992. She completed post-doctoral trainings at the University of Arizona in Tucson (USA) and at Sanofi Laboratories in Milan (Italy). Her current research interests are Inflammation/ Immunity, Pigmentation, Wound healing, Ageing/Photobiology, Hair and Slimming. She has published several scientific articles in international reviews with great renown, and has been a key in the development of many active ingredients as many products considered as innovations in the field of dermocosmetics. Dr. Marcia Senra is a medical doctor with specialization in dermatology and Hansen's disease. She has a Graduate degree in Short-Term Dynamic Psychotherapy from the Psychiatric Service of Santa Casa da Misericordia in Rio de Janeiro. She worked for 10 years with Tropical Diseases in the Amazonian Region. Dr. Senra is currently working at the Federal Hospital of Ipanema, Rio de Janeiro, where she coordinates the Psychodermatology Service. She coordinates the Psychodermatology Department of the Brazilian Dermatology Society. Dr Senra is member of the Brazilian Society of Dermatology and from the Psychosomatic Medicine Paulista Society. Carsten Flohr studied at Cambridge and Oxford Universities and then trained in both paediatrics and dermatology. He is the first UK National Institute for Health Research (NIHR) Clinician Scientist in Dermatology and also a Senior Lecturer (Associate Professor) and Consultant at St John’s Institute of Dermatology, King’s College and St Thomas’ Hospital London. Dr Flohr has a passion for atopic eczema research and a strong interest in population-based studies as well as clinical trials. Together with his paediatric allergy colleagues at St Thomas’ Hospital, he is currently conducting an interventional birth cohort study with 1.500 children to test the hypothesis that the introduction of potentially allergenic foods into the diet of infants from three months, alongside continued breastfeeding, results in a reduced prevalence of food allergy and other allergic diseases by three years of age (‘Enquiring About Tolerance’ (EAT) Study). The EAT Study also examines how genetic, immunological and environmental factors interact in the development of atopic eczema and food allergies. Dr Flohr is also Lead Investigator for England on an Anglo-Irish atopic eczema-food allergy genetics study, which he runs with Profs Alan Irvine (Dublin) and Irwin McLean (Dundee). Dr Flohr is a Steering Committee Member of the International Study of Asthma and Allergies in Childhood (ISAAC), the worldwide biggest allergy study. He also chairs the Epidemiology Interest Group of the European Academy of Allergy and Clinical Immunology (EAACI) and the UK Dermatology Clinical Trials Network (UK DCTN) Trial Generation and Prioritisation Panel. Dr Flohr is an Associate Editor of the Journal of Investigative Dermatology and the Clinical Trials Editor of the F1000 Atopic Dermatitis Section. Dr Kyu-Han Kim is a dermatologist and allergist. He is now Professor and Chairman in the Department of Dermatology, Seoul National University College of Medicine, Korea. Professor Kim studied medicine in Seoul National University of Seoul, South Korea. He had received residency training in the Department of Dermatology, Seoul National University Hospital. He is board certified in dermatology and holds subspecialty in allergology. He had worked as a research fellow at the Department of Dermatology, Emory University, and School of Medicine, USA for 2 years, where he did basic research related to wound healing and neuropeptides. His main research interests include hair biology, skin aging, and immunobiology of various inflammatory skin diseases, especially atopic dermatitis. These days he is more involved in multiple clinical works and trials, and translational research projects relating to atopic dermatitis, and infantile hemangioma. He is a member of many national and international scientific societies, including Korean Dermatological Association, The Korean Academy of Asthma, Allergy and Clinical Immunology, and Society for Investigative Dermatology. He is now president of Korean Atopic Dermatitis Association. He has published more than 100 papers in peer-reviewed international journals, and is editorial board member and regular reviewer for some medical journals. 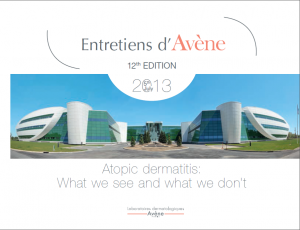 He is also a member of the Advisory Board of Acta Dermatolo-Venereologica. Sebastian Barbarot obtained his MD degree and qualification in dermatology in 1999. He is a physician in the department of dermatology in the University Hospital of Nantes. He developed an expertise in pediatric dermatology and clinical research through national and international collaborations. He is the head of the pediatric dermatology unit in Nantes university hospital (Pr J-F STALDER department) since 2009. He conducted many academic or clinical studies in the field of dermatology. He is a member of the French Cochrane satellite skin group and a member of the Research group of the French society of pediatric dermatology. He is a leader in in the field of educational programs and assessment of atopic dermatitis. He has been highly involved in the PO-SCORAD and Oriented Patient Education Network in Dermatology (OPENED) project. His research is also focused on AD epidemiology in preterm neonates, topical corticophobia and AD prevention. He is working on national preterm birth cohorts and will lead an academic multicentric randomized clinical trial on probiotics in AD prevention. 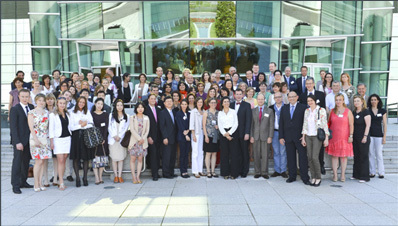 He is also highly involved in clinical research in neurofibromatosis 1 with the French neurofibromatose network. Dr. Eichenfield is Chief of Pediatric and Adolescent Dermatology at Rady Children's Hospital-San Diego, and Professor of Pediatrics and Medicine (Dermatology), at the University of California, San Diego (UCSD) School of Medicine. He earned his medical degree from Mount Sinai School of Medicine in New York, was a pediatric resident and chief resident at Children's Hospital of Philadelphia, and completed dermatology training at the Hospital of the University of Pennsylvania. He has been board certified in pediatrics, dermatology and pediatric dermatology. Dr. Eichenfield's clinical interests include atopic dermatitis, acne, vascular lesions (port wine stains, hemangiomas), psoriasis, neonatal dermatology, laser surgery, nevi (moles), and skin signs of systemic disease. He is Editor-in-Chief of Pediatric Dermatology and serves on the editorial boards of multiple journals and periodicals. Dr. Eichenfield has published more than 250 journal articles, chapters and abstracts, and books including serving as editor of Neonatal Dermatology, 2nd Edition, published by Elsevier, and The Eczemas published by Summit Communications. He is Director of Rady Children’s Hospital Eczema & Inflammatory Disease Center and the Vascular Lesion & Birthmark Center. Dr. Eichenfield was honored as a member of the Alpha Omega Alpha Medical Honor Society during medical school, as a recipient of the Benjamin Ritter Award at Children's Hospital of Philadelphia, and has received excellence in teaching awards from UCSD Pediatrics, UCSD Dermatology, and Children's Hospital, San Diego. He has been named one of the "Best Doctors in America" since 1994. Dr. Eichenfield is past president of the Society for Pediatric Dermatology, has served on the Board of the American Academy of Dermatology, and served as Chair for the 69th Annual Meeting of the American Academy of Dermatology. Dr. Eichenfield is a founding board member and President-elect of the American Acne & Rosacea Society.